Government Statement on “Matters Relating to An Garda Síochána” issued today. “At its meeting today, the Government considered a new and very serious issue relating to An Garda Síochána. The implications of this matter are potentially of such gravity that the Government has decided to set up a statutory Commission of Investigation into this matter of significant public concern. It will be chaired by a senior serving or retired member of the Judiciary. In the context of ongoing legal proceedings in a particular case, the Government has learned that a system was in place in a large number of Garda stations whereby incoming and outgoing telephone calls were taped and recorded. The Government was informed of this new information at its meeting today. As the matter is before the Courts, it is not appropriate to make any further comment on the specific case. From the information available, the practice of making recordings was in place for many years and was discontinued in November of 2013. It is not yet clear why this practice was in operation. The Government is extremely concerned about this information. The Government has asked for a full, detailed report on all aspects of this matter from An Garda Síochána and the Department of Justice and Equality, so that an informed decision can be made on the legal and other consequences, with the assistance of the Attorney General. The terms of reference for the Commission of Investigation will be decided shortly, once a full report on the circumstances has been made available to the Government. …It also reiterated its commitment to the reform of Garda oversight and accountability. This will include the establishment of an independent Garda authority, which is appropriate to Ireland’s needs and which will maintain appropriate democratic accountability to the Oireachtas. The Government will bring forward the full detail of its comprehensive reform proposals in the coming months. This will be done following the completion of the current inquiries by Judge Cooke and Mr Guerin, the forthcoming hearings by the Oireachtas Committee on Justice, Defence and Equality and the Review of the Garda Síochána which is currently underway under the Haddington Road Agreement. 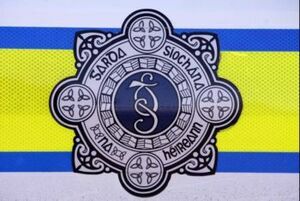 Posted in Misc and tagged gardai at 3:07 pm on March 25, 2014 by Broadsheet.